This "Historically Speaking" column was published by the Exeter News-Letter on July 1, 2016. It seemed like the United States Bicentennial couldn’t have come at a worse time. The nation was in an economic recession caused, in part, by the oil crisis of 1973. The divisive Vietnam War was grinding to a slow, humiliating end that did nothing to bind up the social fractures it had caused. President Nixon’s landslide election win in 1972 had given way to his downfall and resignation in 1974. The years leading up to the Bicentennial seemed to be at odds with the original optimism of our nation’s independence. The original idea for the Bicentennial observance had been to repeat the celebrations of one hundred years prior. A commission was created in 1966 to plan a world’s fair to be called “Expo 76”. The Centennial Exposition in 1876, held in Philadelphia, had been a great success after all. But as the decade began to erode into the 1970s, and confidence in government began to lag, the focus began to shift. Rather than hold one enormous national event, the Bicentennial might be better observed by hundreds of local observations. It was the age of television, after all, and the nation’s birthday party could be shared in ways unimaginable back in 1876. Exeter established its Bicentennial Commission in September of 1972. As in most of the towns and cities of America, the celebrations were planned to commemorate not just the signing of the Declaration of Independence on July 4th, but the entire revolutionary period. The national kick-off was held on April 1st, 1975, when the American Freedom Train began its journey around the country. It passed through Exeter (although it didn’t stop) on April 16th on its way to Portland, Maine, where I waited three hours in line to get on board to view the exhibits. My brother broke the rules and leaned in to touch Judy Garland’s blue checkered dress from The Wizard of Oz. In Exeter, the Reverend Charles Calcagni lit three lanterns in the tower of the Congregational Church on April 18th to commemorate the signals given to Paul Revere before his famous ride. In June, the town received its official bicentennial flag and certificate designating Exeter as a bicentennial community – a participant in the broader celebration of events. The town commission planned multiple events and reenactments, with the big party to be held in June of 1976. Nancy Merrill’s History of Exeter, New Hampshire, picks up the story: “On January 5, 1976, Mr. Calcagni, surrounded by the selectmen on the town hall steps, read a copy of the first state constitution of any of the thirteen colonies, which was adopted in Exeter two hundred years previously.” Exeter took seriously its place as the revolutionary state capital. In photos of the event, the selectmen look somewhat awkward in their colonial costumes, but they also look quite serious. So what if the economy was in the duldrums and faith in the federal government was at an all-time low – somewhere back in time ordinary people had set the bar high and this crazy experiment was still working. 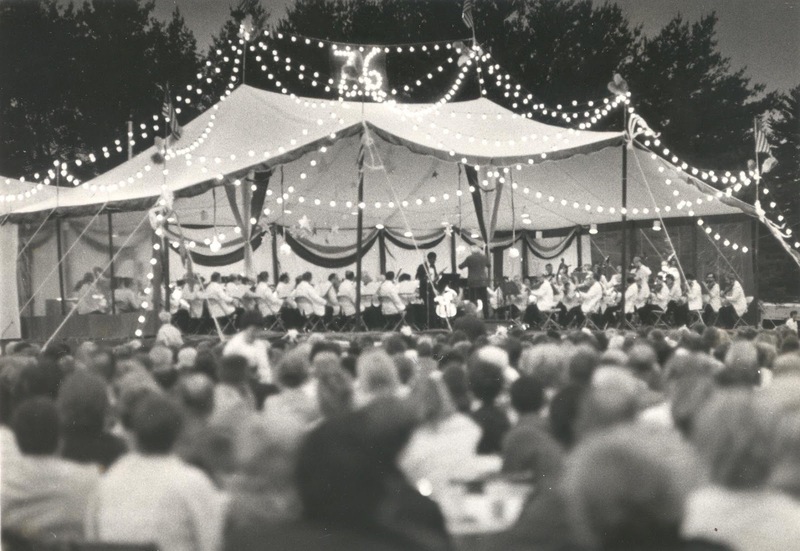 The parade was followed the next day with the arrival of Arthur Fiedler and the Boston Pops Orchestra, who played a concert on the field at Phillips Exeter Academy. Fiedler, who arrived on an antique fire truck, was 81 years old. “Fiedler Dazzles Exonians,” declared the News-Letter headline. Over 9,000 people attended the concert. For two weeks events continued in town. There was a kangaroo court (with a holding ‘cell’ erected in the town square), carriage tours, traditional crafts and trades – including horse shoeing and sheep shearing, tree planting and the dedication of the official Exeter Bicentennial Seal. Old Home Night was held on Saturday, June 26th on Swasey Parkway. The evening began with a “Revolutionary Barbecue” featuring Independence hot dogs, Declaration of hamburgers, Bunker Hill corn on the cob, Philadelphia potato salad, Constitutional cole slaw and Liberty brownies. Too bad there wasn’t any Samuel Adams beer back then. The Exeter Brass Band played a concert with a community sing-along followed by fireworks. On July 4th itself, the town did nothing. Not that there wasn’t anything to do – other towns were holding their own celebrations and there was entertainment all around. On July 16th there was a reenactment of the arrival of the Declaration of Independence by pony rider, John Law, followed by an official reading of the document by Phillips Exeter Academy principal, Stephen Kurtz. The town continued to focus on its revolutionary past for several years. The old Powder House, long neglected, was spruced up by students from Exeter High School. 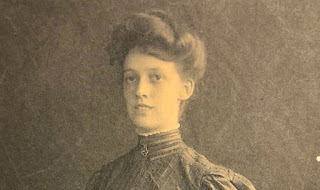 An oral history project spearheaded by Flavia Page, Harry Thayer III and Matthew Thomas produced Reflections of a Few Older Exeter Citizens, a booklet that has since become invaluable to local historians. On June 24th, 1977, the town buried a Bicentennial time capsule in Gale Park. 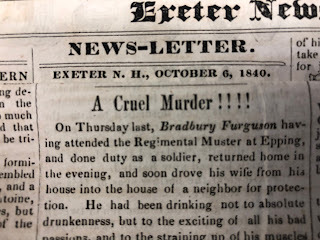 It contains bicentennial articles, programs from local groups, a savings bond, a fire department alarm card – all manner of Exeter ephemera. The stone marking its location can still be viewed in the park. When the capsule is opened in 2076 the future residents of Exeter should get a clear picture of how a community was able – in the worst of times – to pull together to celebrate a national event in a very local way. 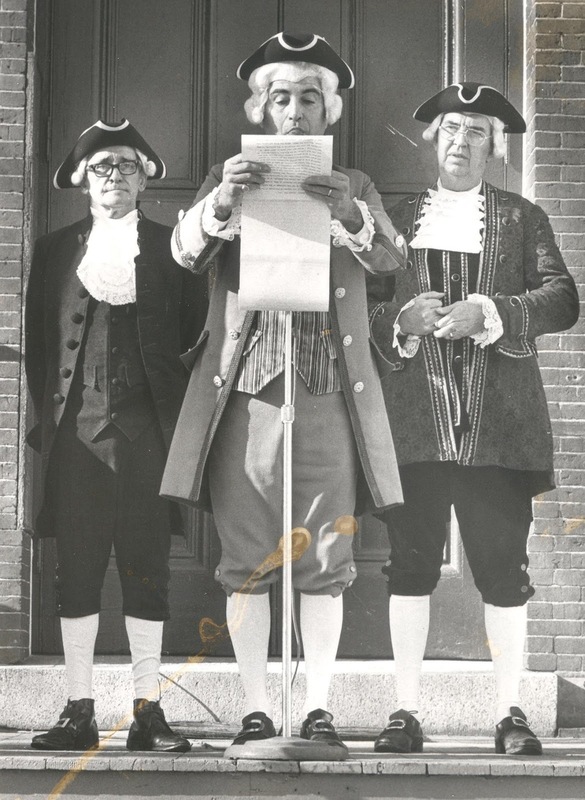 Images: Reverend Charles Calcagni, Chairman of the Bicentennial Committee, flanked by Selectmen Arthur Plouffe and Sherman Chester stand on the steps of the Exeter Town Hall on January 5th, 1976 for a bicentennial reading of the New Hampshire Constitution, and Arthur Fiedler and the Boston Pops orchestra perform at Phillips Exeter Academy to appreciative crowds on June 13, 1976. Exeter music teacher John Bethel performed as a featured soloist. Wonderful article. I do remember one thing that I thought happened on the 4th of July in 1976. I was 11 and remember it like it was yesterday: The church bells. At noon, all the bells rang from the different churches. It made a big impression on me. Now maybe I'm wrong and it was a different day, so please correct me if anybody remembers this differently.